Here is the photo used for my May column in B-Metro Magazine, along with the out takes I promised I would post. My daughter was, and always is a good sport and I appreciate her sense of humor. I did not know she had pretended to knock it back until I saw the proofs. Is she trying to say that I am driving her crazy? 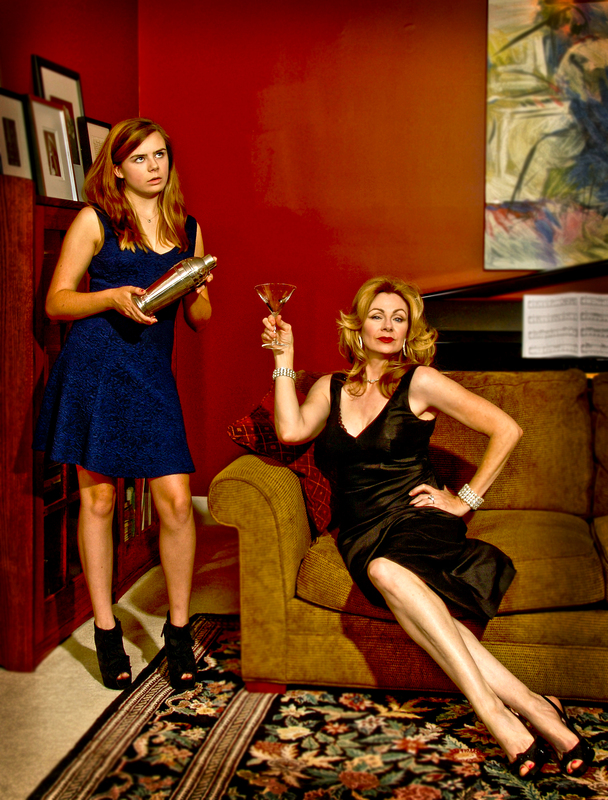 Disclaimer: No minors, or, more importantly, no martinis, were harmed in the making of these photos. « Hey~ There’s a 5 on My Clock~ Cheers!